Above: The tender piers in Newport. Above: A tender maneuvering through Newport harbor. 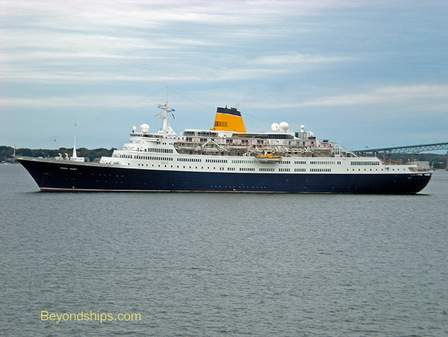 Below: Saga Ruby off Newport. 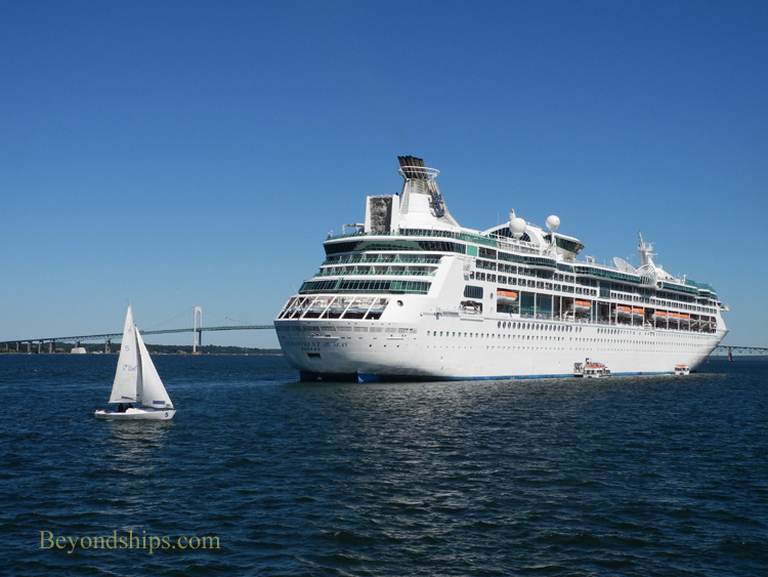 The cruise ship season in Newport runs from May into November. September and October are the busiest months when the major cruise ships do their fall foliage cruises. There is no cruise terminal building in Newport. Therefore, the ships anchor in Narraganset Bay and tender passengers ashore. 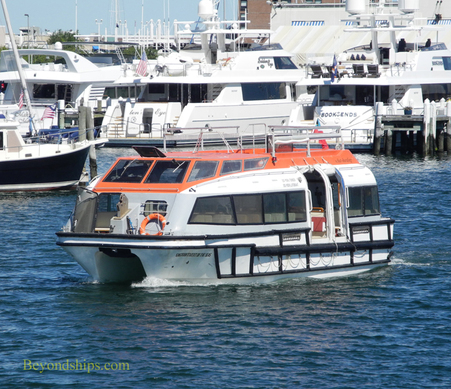 The tender ride is longer than one might expect given the relatively short distance from the anchorage to the piers where the tenders drop off and pick up passengers. This is because the tenders must go past the numerous yachts and small craft anchored in Newport harbor and must keep their speed down so as to avoid creating disruptive wakes. The tender piers for the vast majority of ships are by Perotti Park. 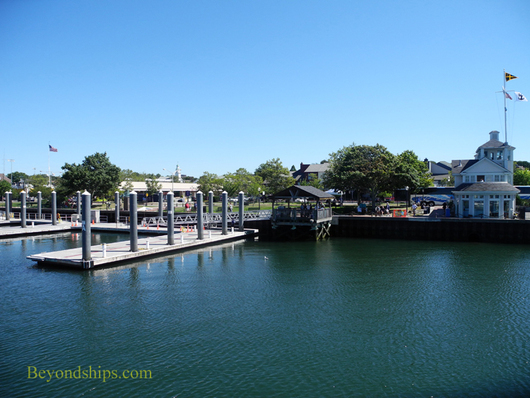 (A few small cruise ships go to Fort Adams). It is a pleasant green space on the edge of downtown Newport that is within walking distance from shops, restaurants and the Newport Visitors Center. The buses for shore excursions receive and discharge passengers on America's Cup Avenue next to the park. Right: Enchantment of the Seas tendering off Newport.